It can be a challenging task to find a good web hosting provider if you are running an enterprise. The reason for this can be attributed to the various packages that are available under the web hosting segment. However, let us take a look at the aspects that you need to consider while choosing one. The foremost things that you need to consider is the server uptime. It tells us the time for which your site is not available due to some issues. A great downtime cannot be tolerated for any business. This is because many customers would be coming online for accessing different services and if they find interruptions in between, they may look for other similar services. You should also be careful regarding the hardware that is given to you. Going with dedicated hardware solutions is also a pleasing idea for businesses. Before you make the leap on choosing a web hosting provider, think about some of the following aspects. The first one is the hardware configuration that will be provided to your business. Although different hosting plans have a different specification, things are overall the same and also dependent on you, if you are moving with a dedicated server. You should select a good configuration like Intel Xeon processor, 2GB RAM and 100 Mbps internet speed as minimum. This is because your actions on the businesses are often reflected on your website. This can be easily understood if you run an eCommerce website where orders are instantly updated to help the customers. A good web hosting provider will be backed by great 24×7 customer support. They should be able to help you out with the different issues of server performance that you may come across. It can be a simple issue like a login failure to a complex one such as dealing with the databases. Price is another considerable factor – web hosting provider associated services cost should be also cost-effective. Hence it is important to find the one that provides reliable services at affordable costs. Your service provider should also give you scalability, making it easy to upgrade your plan. Please Click Here to select a dedicated server for your webhosting needs. 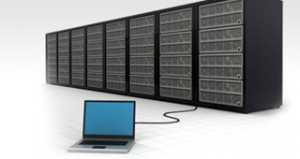 www.dedicatedhosting4u.com provides a wide range of hardware configuration to choose. You can select any Operating system possible with or without Control panel. Our support team is 24×7 and basic support is free. You can avail extended managed support on an affordable price. Hi there to every , since I am really eager of reading this weblog’s post to be updated on a regular basis.